CEBU CITY - Pitching is essential for business growth and success. So, how do you create a really good pitch? Does it really have a formula? 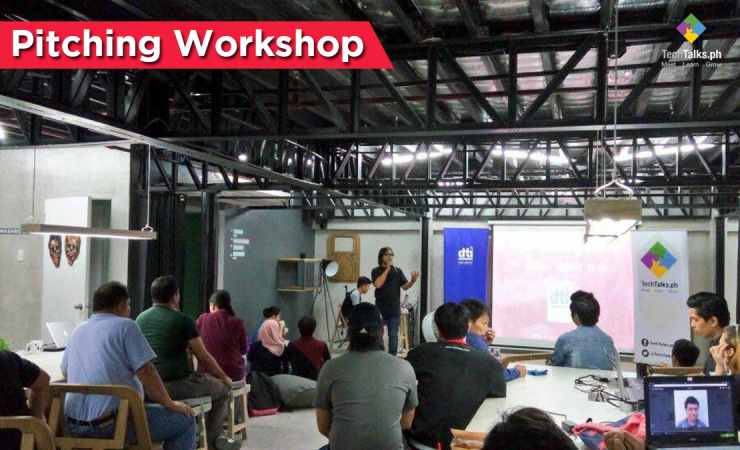 Techtalks.ph in partnership with Department of Trade and Industry (DTI) Cebu created the The Founders Friday: Pitching Workshop on April 6, 2017 that was held at A Space Cebu from 6:30 to 9:00 PM with the speaker Brian Tan Seng, President/ CEO of 98Labs and co-founder of CleverHeat Thermal Technologies. The event was well attended. With Brian’s lead, the workshop thoroughly discussed the power of pitching, the different types of pitching and his personal tips on successful pitching. Brian even challenged anyone from the audience to pitch to them his / her product with a time limit of 30 seconds or in 1 minute as an exercise for the workshop. Few people from the audience took the challenge and stood in front of the crowd. Some showed potential in delivering their spiel and some had a hard time delivering their pitch. The audience shared a couple laughs and insights during this session and during the workshop Q&A, the audience also shared tips to one another about the advantages of pitching and their experiences on how it is to be doing a pitch with a client in the real business set-up. The workshop ended with full of insights, on how pitching is really done and the magic it can do to seal the deal. Audiences were really participative as well and did not hold back in sharing their learning and lessons in the business. Founders Friday is done every first friday of the month. It is open to all interested parties but most especially startup founders, aspiring tech entrepreneurs, and all those who are serious about starting a business in the web, mobile or tech industry. Business/Tech leaders, innovators and others who can mentor startups and serve as angel investors are also welcome. Business owners who want to learn more about tech startups for partnership and/or investment are welcome as well. You don't need to have a startup now to join this group. Students, Academe, all who support innovation and new types of businesses are all free to join. TechTalks.ph is Cebu's grassroots tech and startup community, the organizers behind Founders Friday, Startup Weekend Cebu and GeeksOnABeach.com and many more. If you belong to a group of tech, business and startup enthusiasts or just want to learn more about Cebu startup community, CONTACT US.